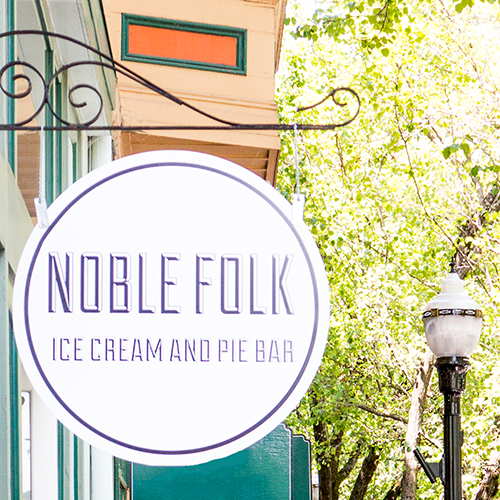 Unique combinations & vibrant flavors make Noble Folk Ice Cream & Pie Bar a must stop destination for those wishing to indulge in their sweet tooth. With a strong focus on local & fresh ingredients this shop shines with it's innovative Scandinavian & Asian influenced flavors. Fresh handmade pies are baked up daily using a traditional Heritage recipe & make for the perfect compliment to a scoop of fresh ice cream via a la mode. Flavors change here regularly but our current favorites are the Chocolate Walnut Pie, Loganberry Ice Cream & the always classic Affogato! *Be sure to check out & support their current Kickstarter Campaign to help make their sweet treat goods go mobile!